Shaklee is a multi-level marketing company formed in 1956 but opened its first international venture in Japan last 1975. A leading provider of premium quality, natural, environmentally friendly nutrition, personal care, and household products, Shaklee is now found in eight international markets including Canada. Shaklee stands behind their products, if they’re not the best that they can be – and the best that you can buy – you may return it for a 100% refund. 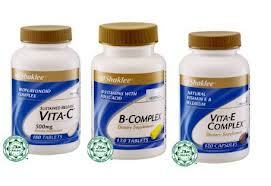 Get healthy with Shaklee with their Healthy Nutrition, Healthy Home, Healthy Weight, Healthy Beauty and Product Packs. Shaklee believes that the best advertising is through the people who share and believe Shaklee products. Thus, they give more rewards to their distributors aside from spending too much on advertising their products. You won’t find any of their products in any store, you can only purchase their products through their local distributors.